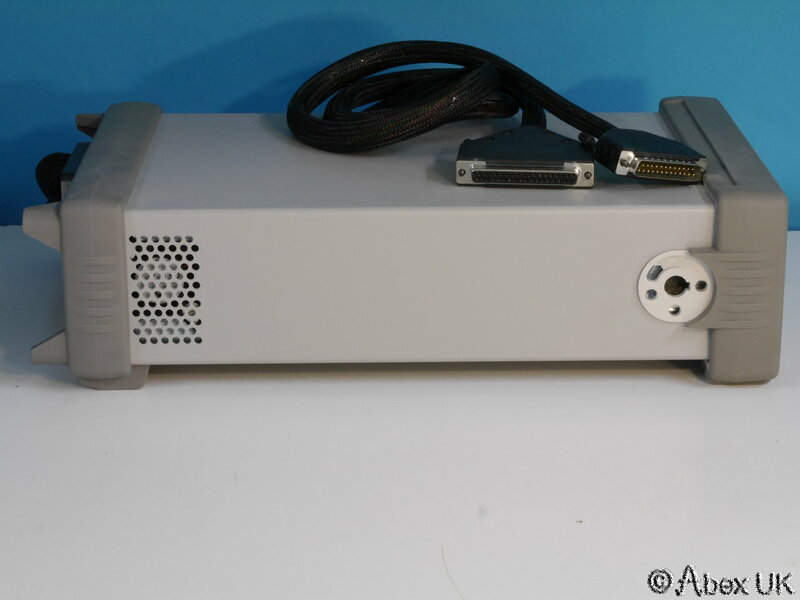 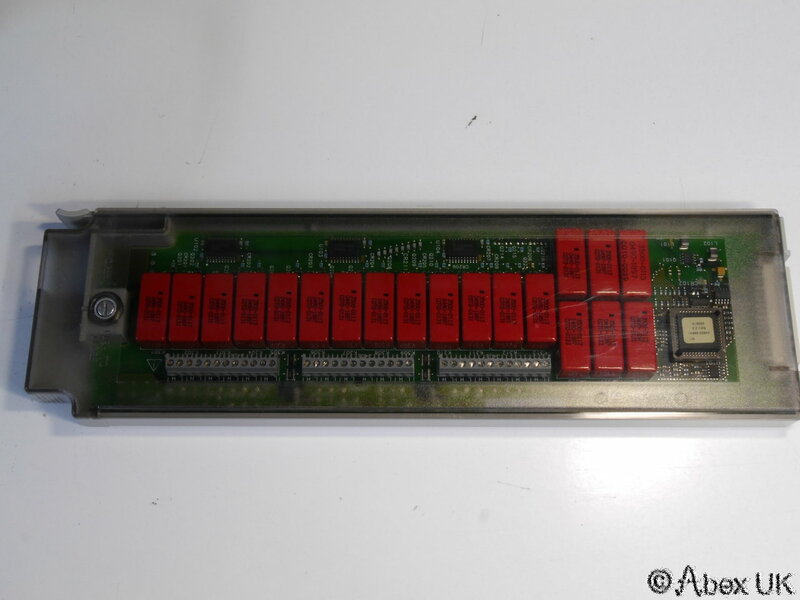 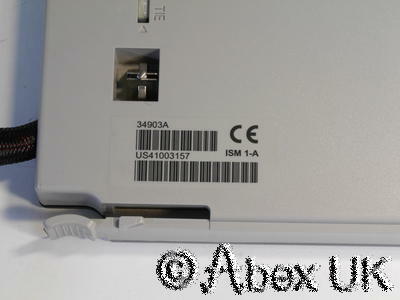 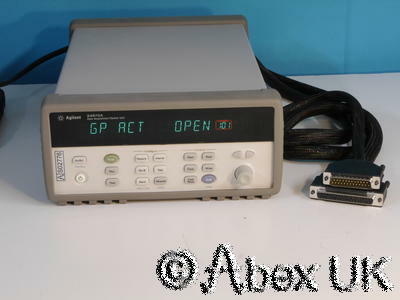 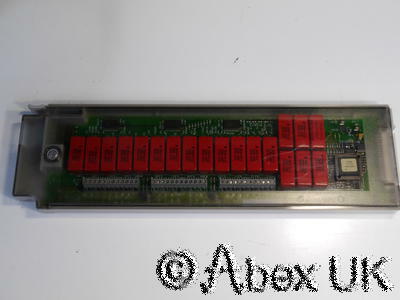 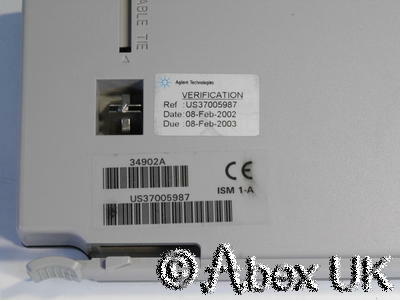 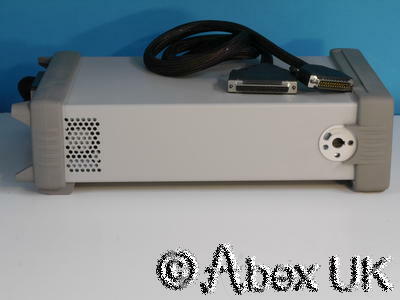 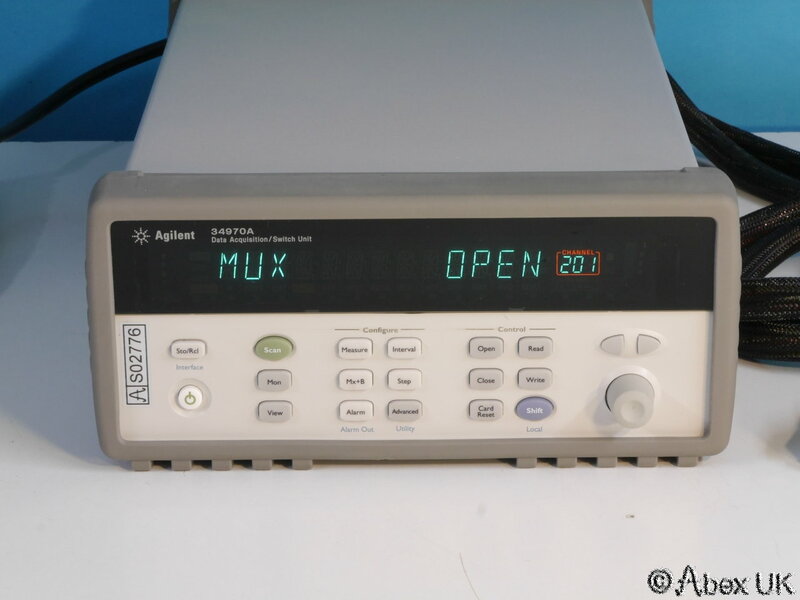 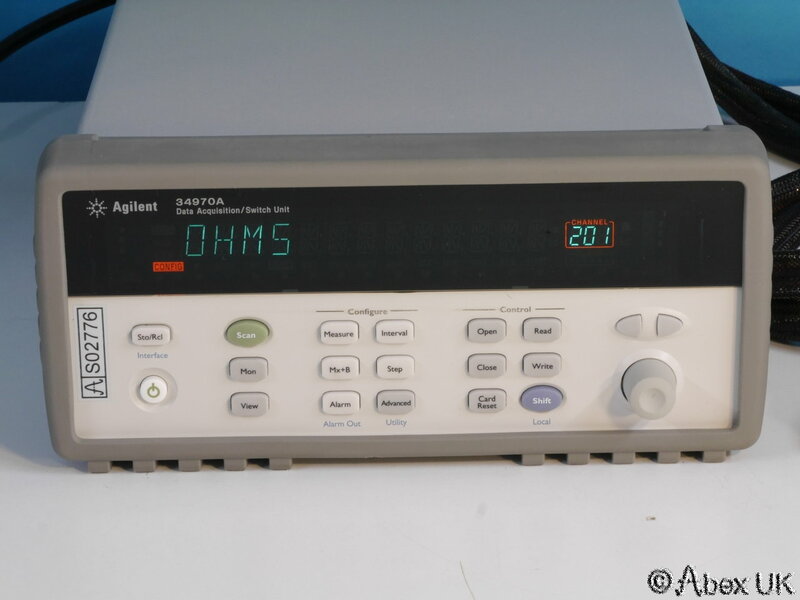 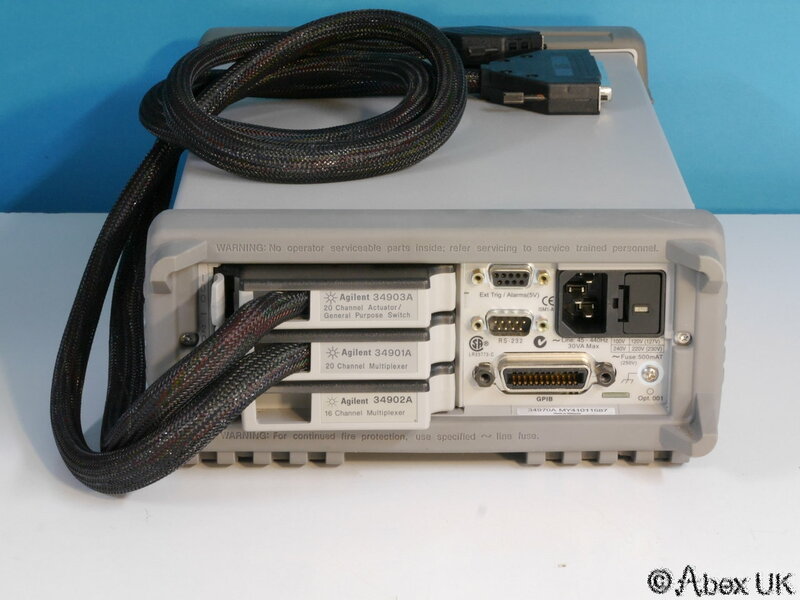 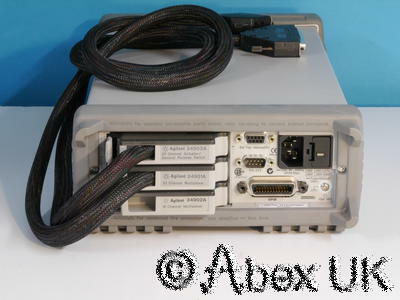 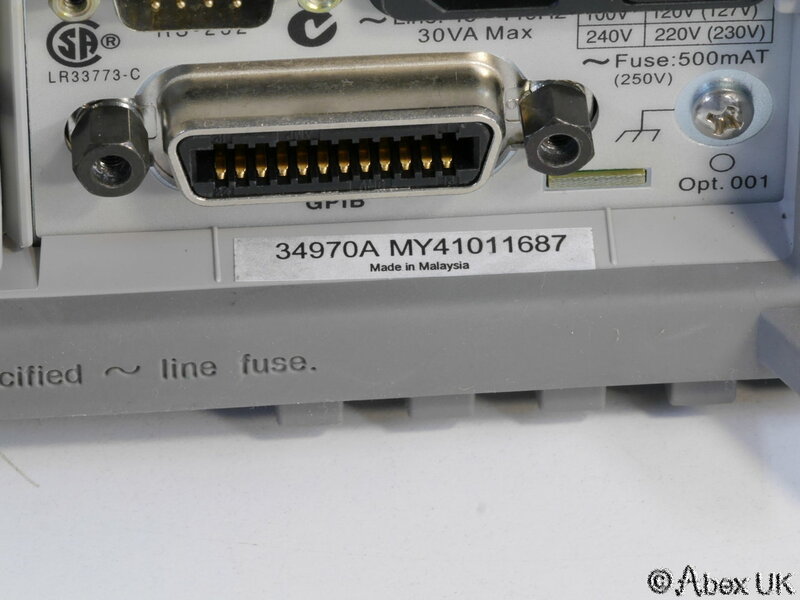 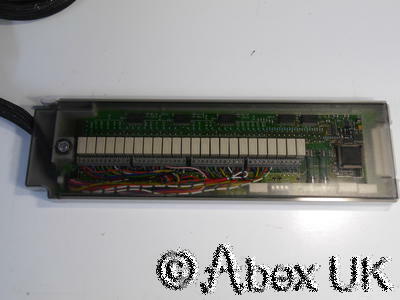 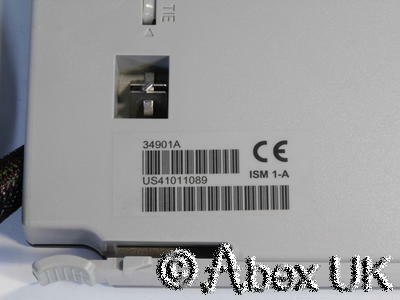 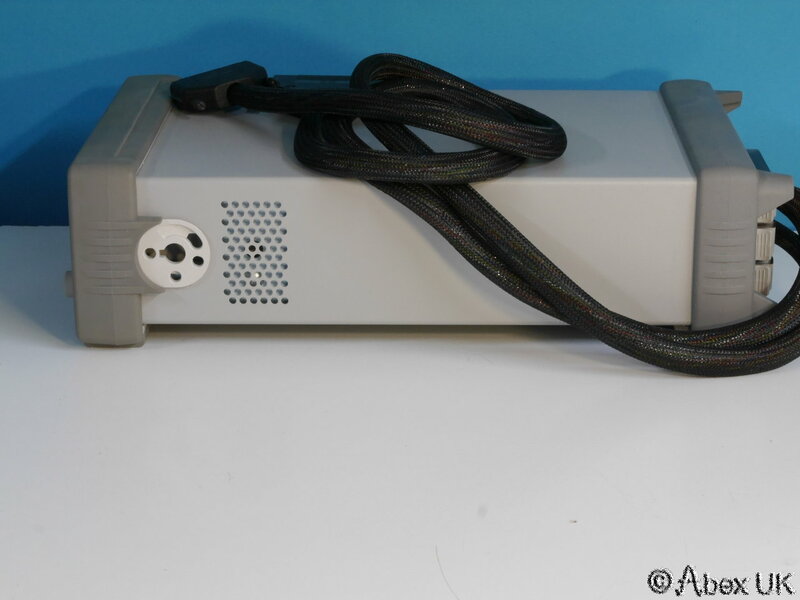 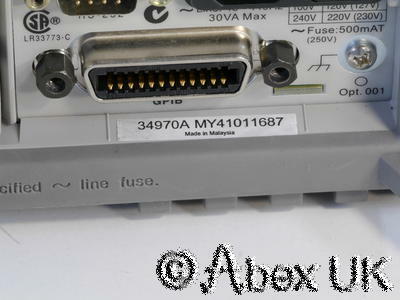 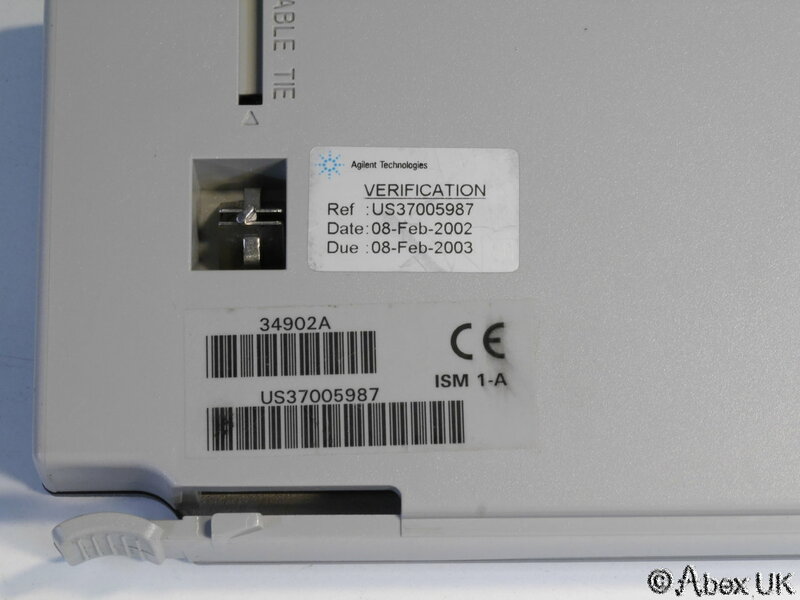 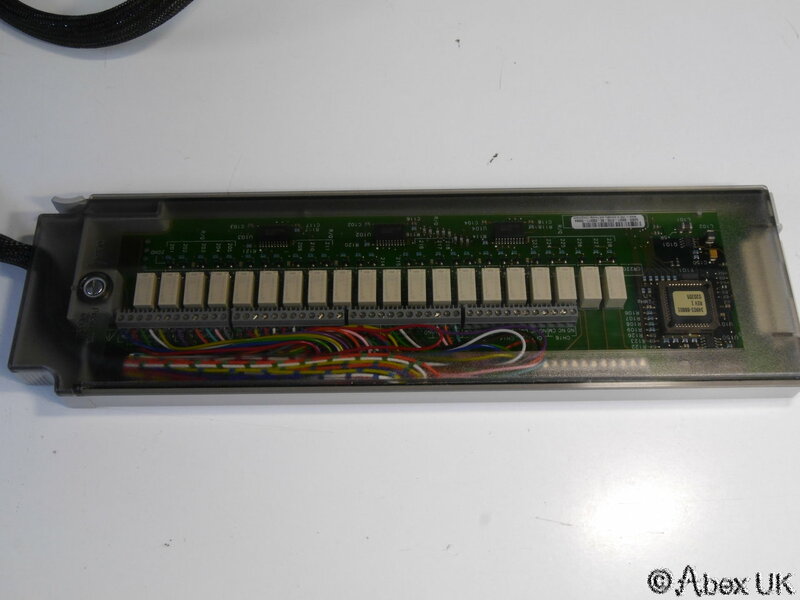 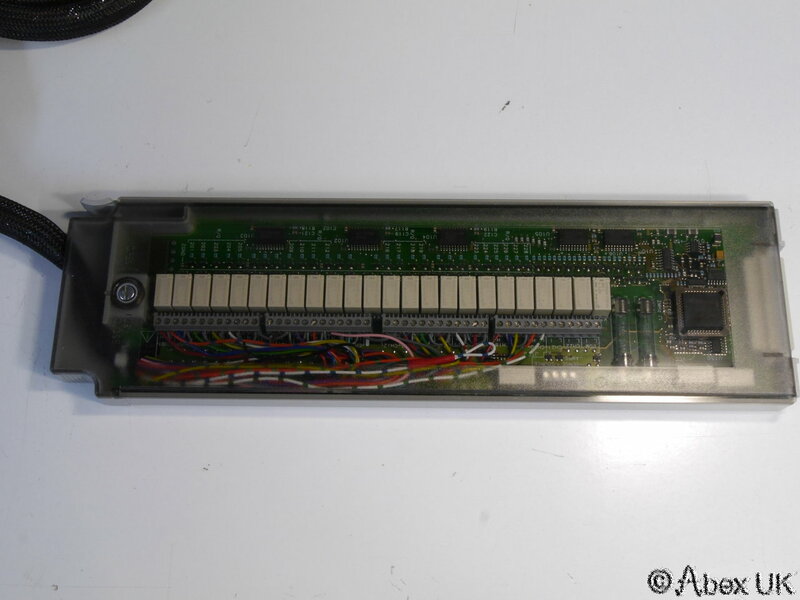 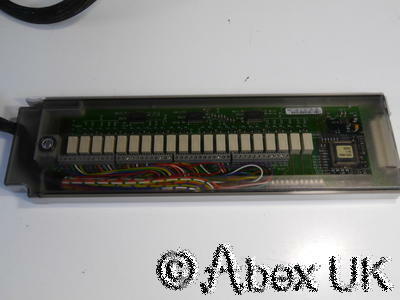 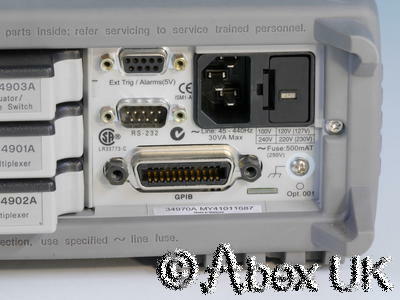 This item is an Agilent (HP) 34970A data acquisition system, complete with 3 plug-ins. 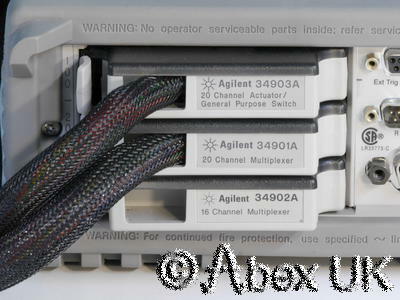 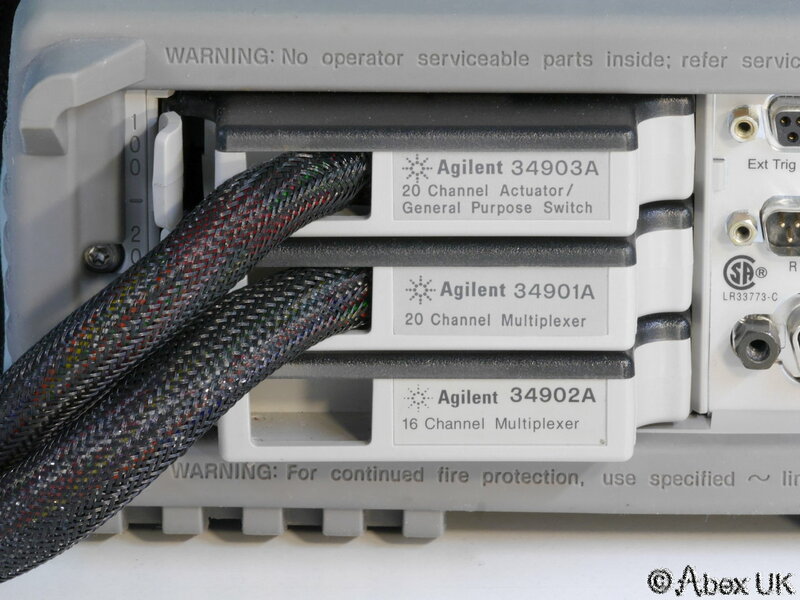 A 34901A 20-channel multiplexer, a 34902A 16-channel multiplexer, and a 34903A 20-channel switch/actuator. In excellent cosmetic condition, fully tested and fully working. 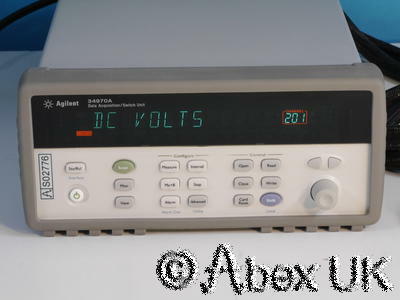 The 34970A measures temperature, DC or AC volts, resistance (2-wire or 4-wire), frequency or period. 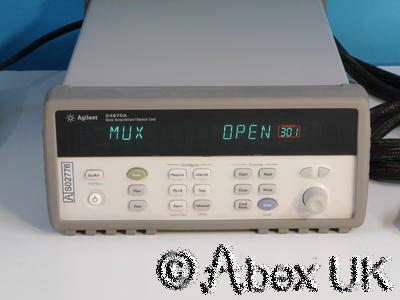 Used with a multiplexer pod (e.g. 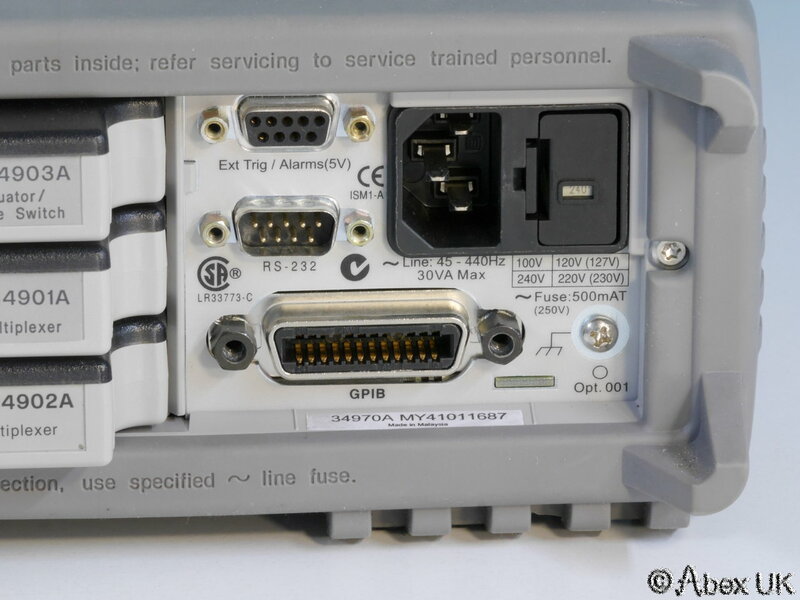 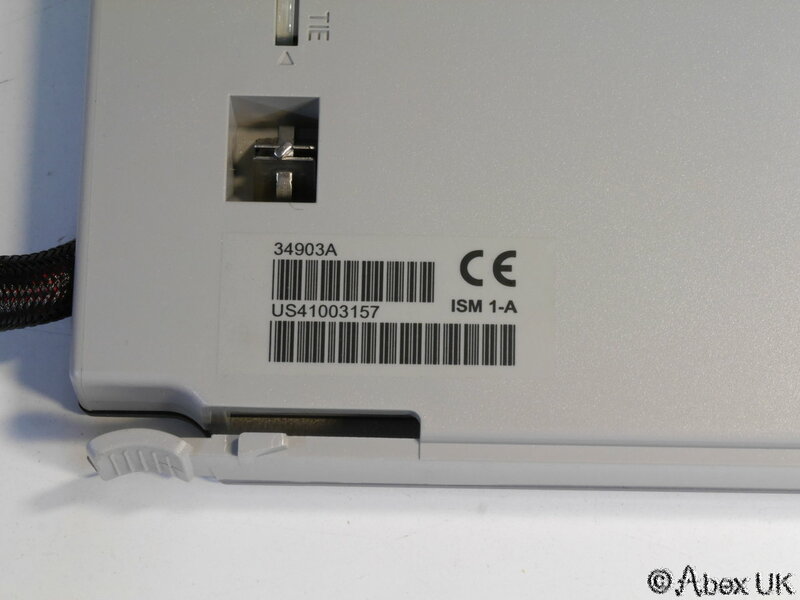 the 34901A), the system can monitor any of these parameters in respect of up to 20 external sources. 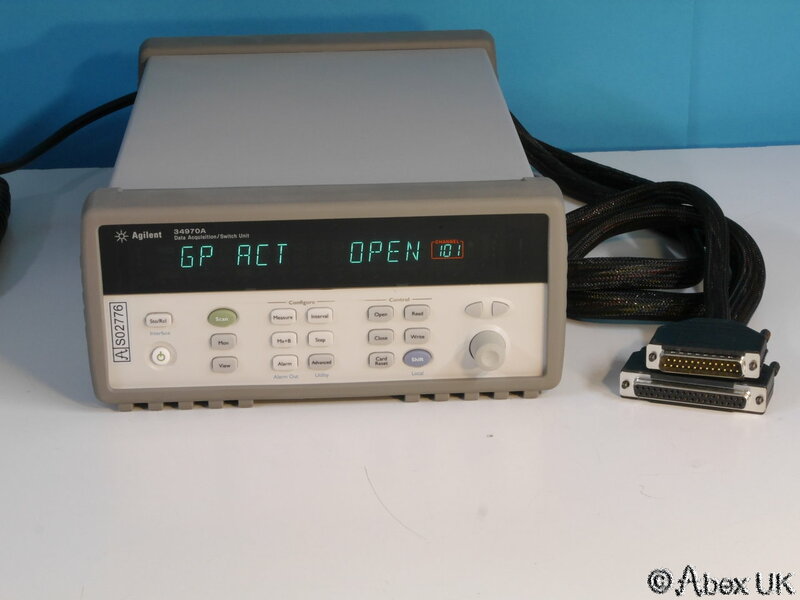 Fully programmable via GPIB, naturally.